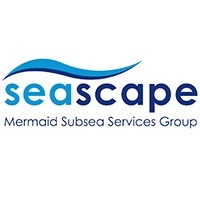 SEASCAPE SURVEYS is a dynamic, results focused Subsea Service provider, supplying air and saturation diving, ROV inspection and construction, in conjunction with hydrographic survey and positioning to the Offshore Oil and Gas industry. Founded in 2005, Seascape has rapidly developed a strong record of outstanding performance, and is at the forefront in the industry, providing specialized solutions and services to clients throughout the Asia-Pacific region and beyond. Seascape as a subsidiary of Mermaid Maritime Public Company Limited, has operational bases in Indonesia, Singapore and Thailand. Seascape is well situated to service the Asia-Pacific Oil and Gas Industry and is expanding into other regions. Seascape owns and operates the SS BARAKUDA, and operates the DP2 Diving and ROV support vessels the M.V. ENDEAVOUR, and M.V. RESOLUTION. Seascape also has access to a fleet of DSV’s operated by its parent company. Responsible for the regular office administration, supporting to project management team and other managers as required.